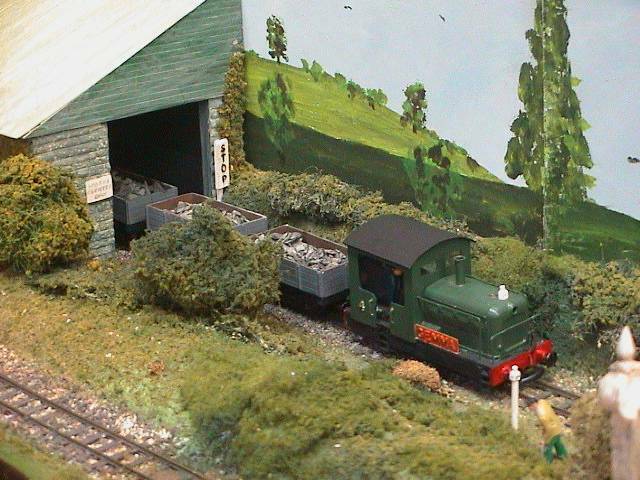 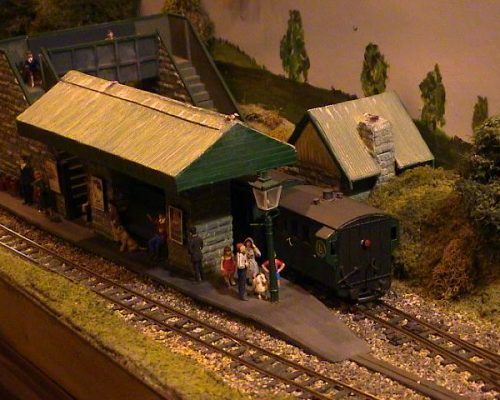 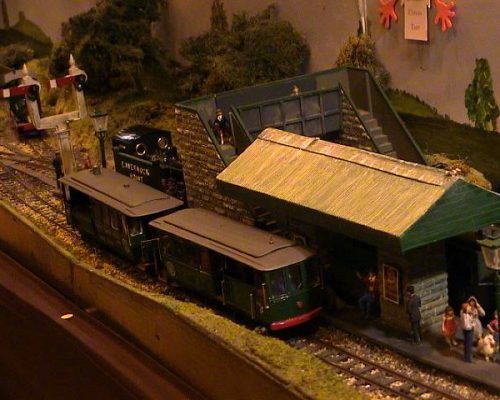 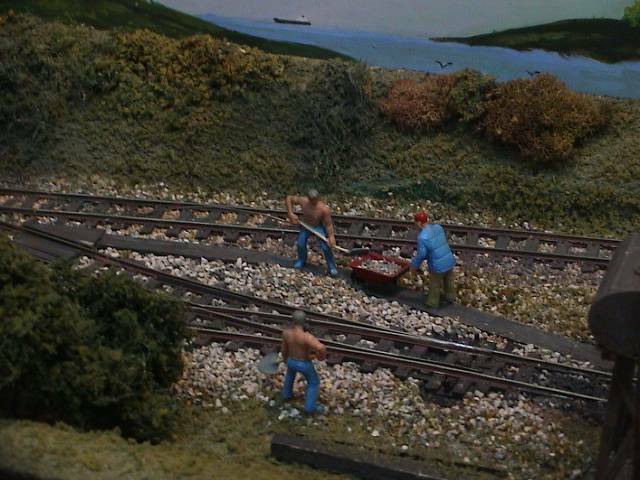 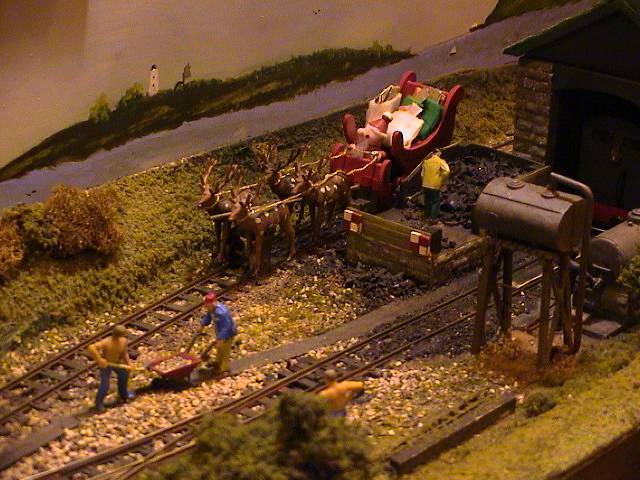 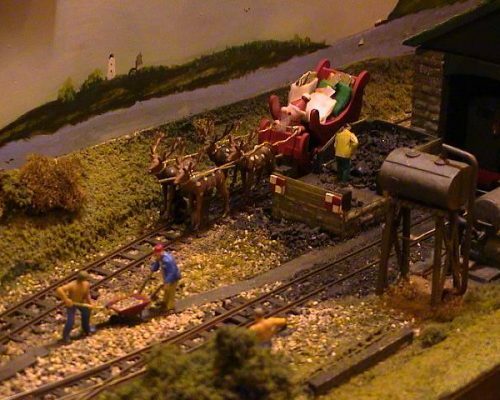 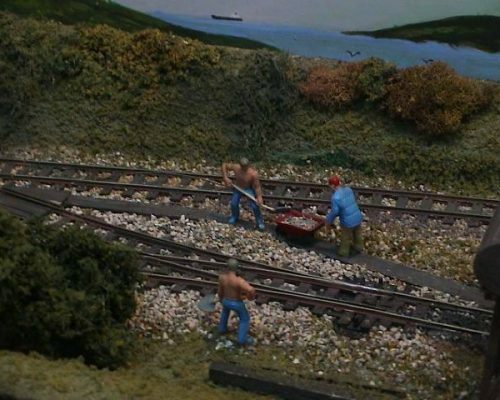 This is one of the layouts built by the late Brian Scoulding. 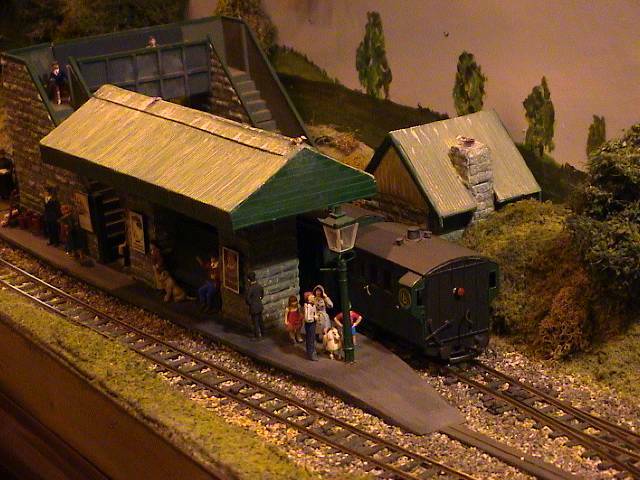 It was sold some years ago and is no longer available for exhibition by the club. 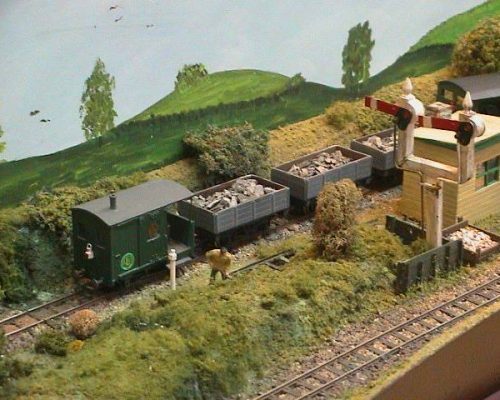 Brian Scoulding named each item of motive power after his grandchildren. 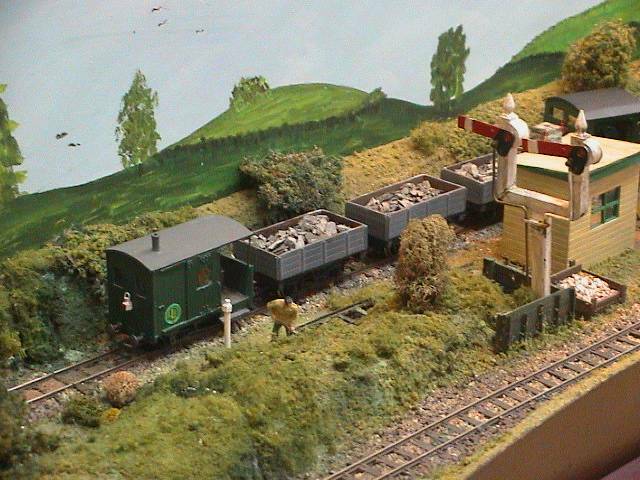 He sold the layout and stock outside the club, but this has changed hands again and now belongs to a club member. 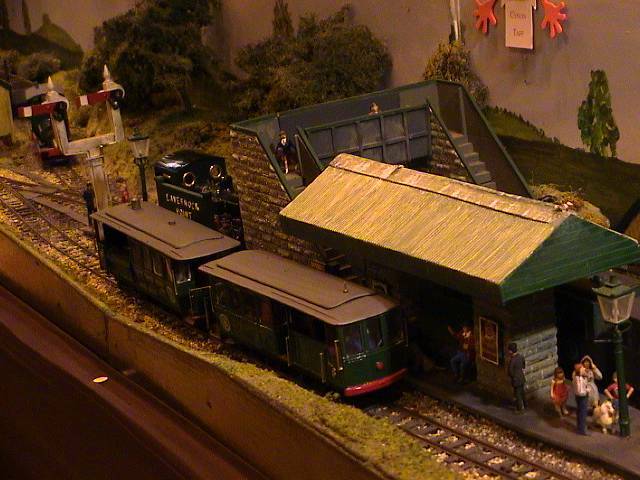 It is available for exhibition. 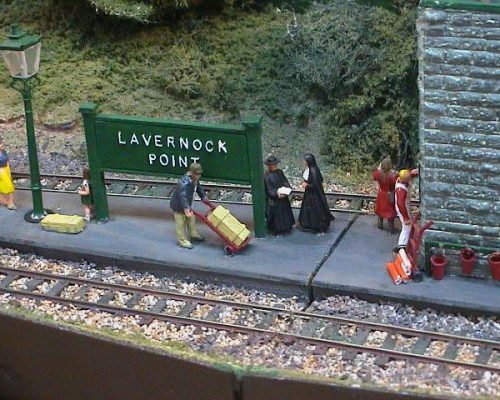 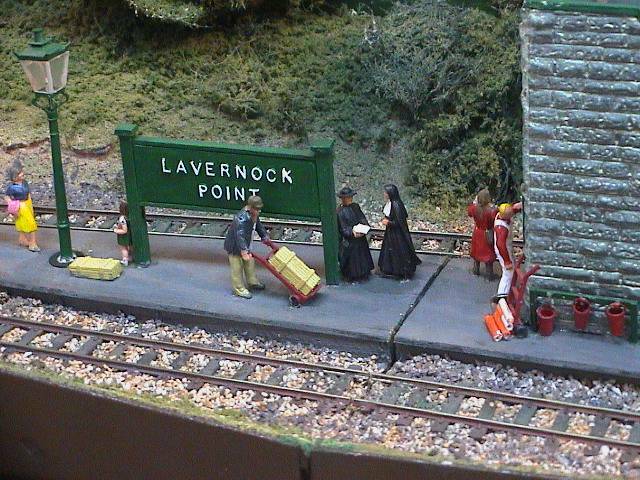 The Lavernock Light Railway is fantasy railway, which would have been built at the end of the 1900’s from the Taff Vale Penarth – Cadoxton line at Lavernock to Lavernock Point. 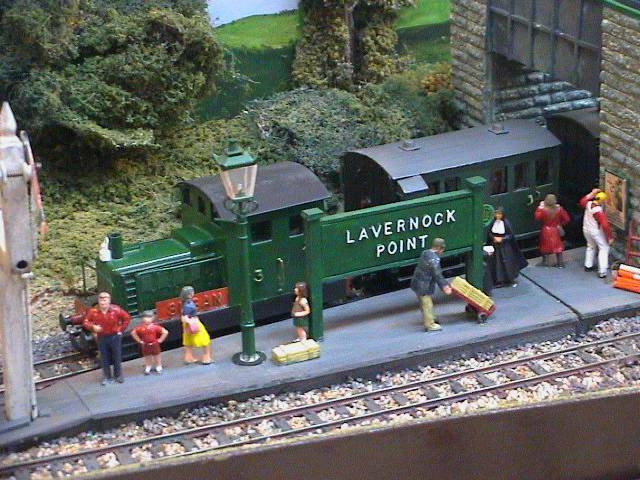 The line caters for tourists wishing to reach the beach on the Severn Estuary and also serves a local quarry. 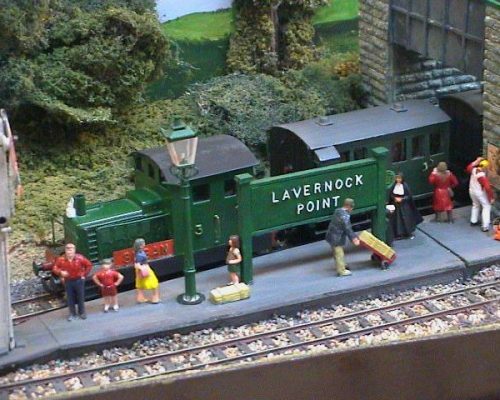 All rolling stock is hand built and each locomotive is named after one of the owner’s grandchildren.